EcoTerra Refurb | ECOXGEAR Canada - PLAY IT LOUD! 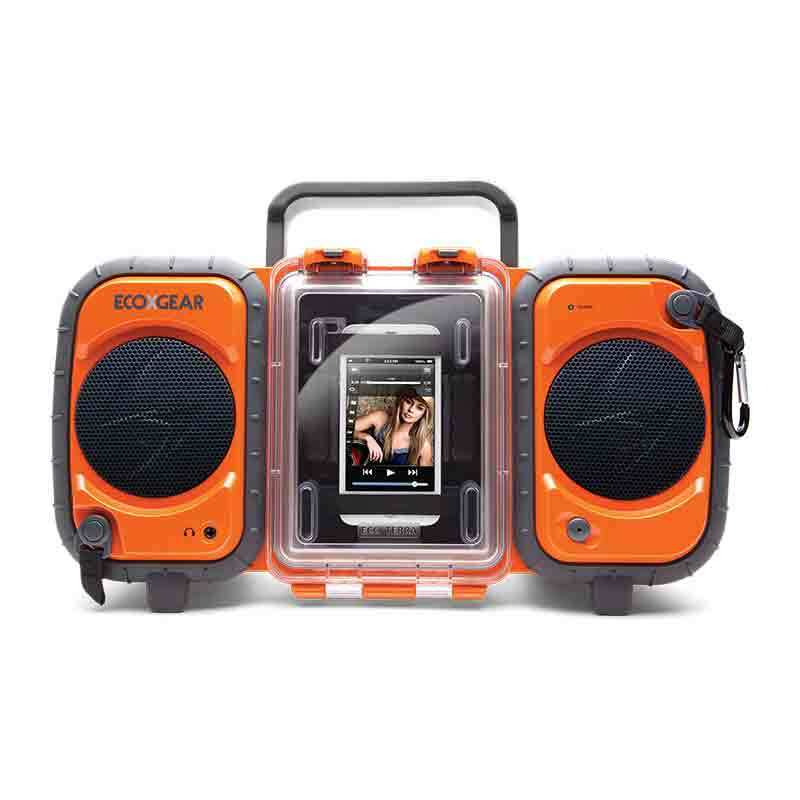 EcoTerra is a waterproof boom box that houses and plays almost any digital MP3 player. 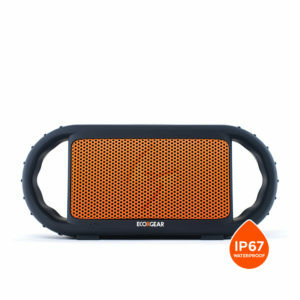 Connect your iPhone, iPod, or Android powered device to the internal input jack, and enjoy the music while you play outside, go kayaking, or hike through the rain. It plays over 25 hours on 8 AA batteries or connects to AC power! 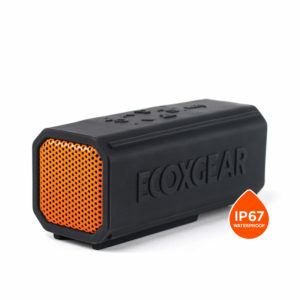 EcoTerra by ECOXGEAR is an ultra-durable, waterproof stereo that connects to and houses almost any MP3 player to stream your favorite songs no matter where you are! So pop in your iPhone, iPad, or Android powered device, turn up the volume, and head out onto the water. 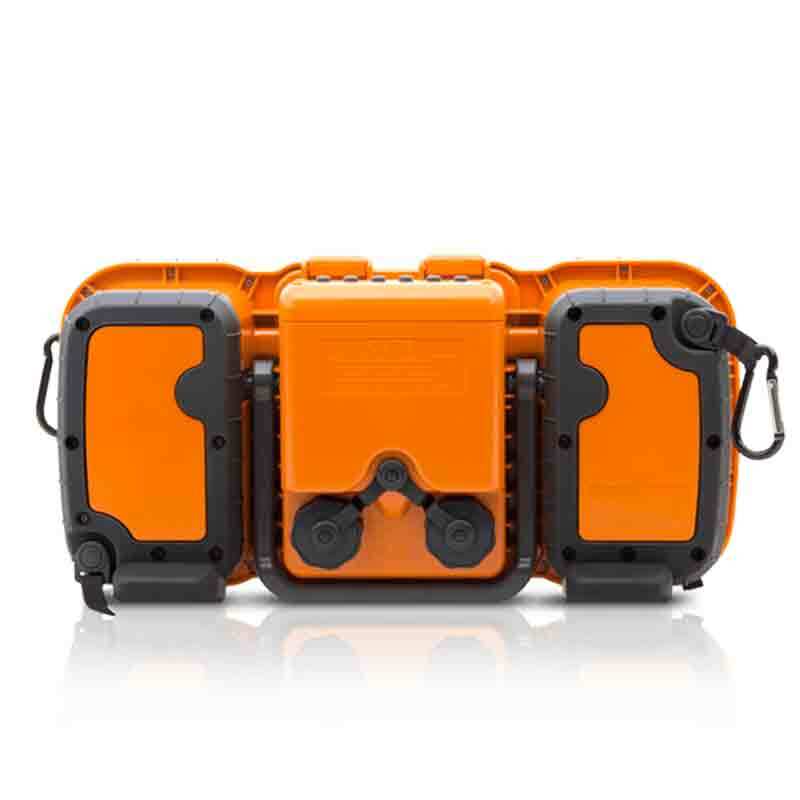 The waterproof casing not only protects the internal electronics and speakers, it also protects your device from the elements, including water.Featuring a 100% waterproof, air tight, clear case that displays your digital device while playing your music, EcoTerra fortifies your device from weather, wind, water, and shocks. So you can rest assured that you’re electronics are safe and protected while you’re enjoying your tunes. EcoTerra is perfect for using by the pool, on a boat, or bringing on a rugged camping trip. 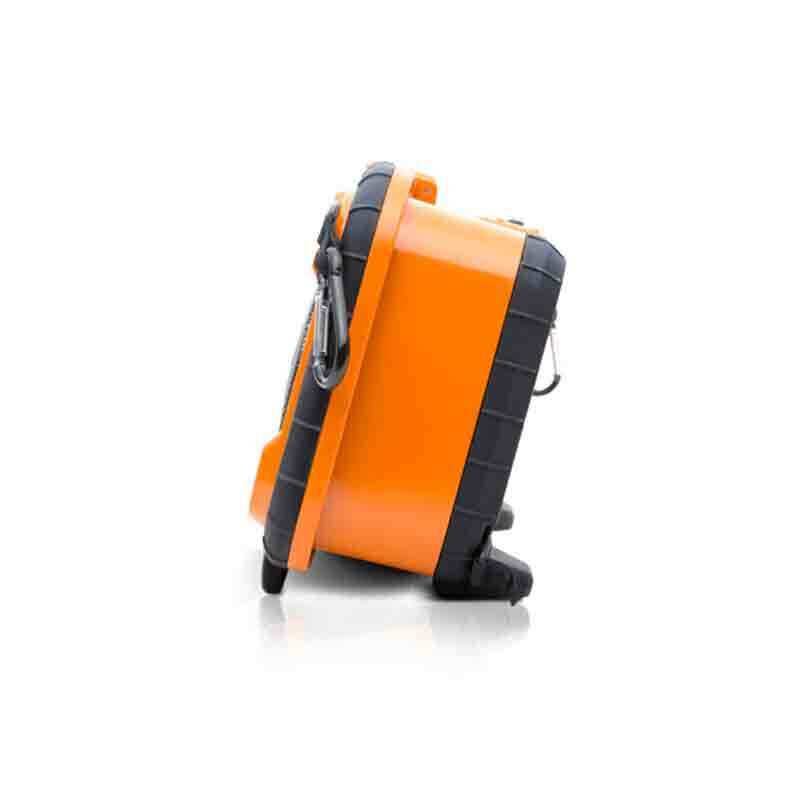 The ultra-durable design can withstand the elements, take a beating, and it won’t let up! EcoTerra features two internal, full range, 3″ speakers that provide impressive volume considering their small size. So you can enjoy the full lows and crisp highs of your favorite album no matter where you are. And whether your listening to dub-step or classic rock, you’ll enjoy supreme sound quality. Powered by an AC connection when you have it or 8 AA batteries when you don’t, EcoTerra is a versatile stereo perfect for any occasion. It last up to 25 hours on a single batch of batteries, so you won’t have to worry about whether or not you’ll be able to finish listening to all of the deep tracks of your favorite record. 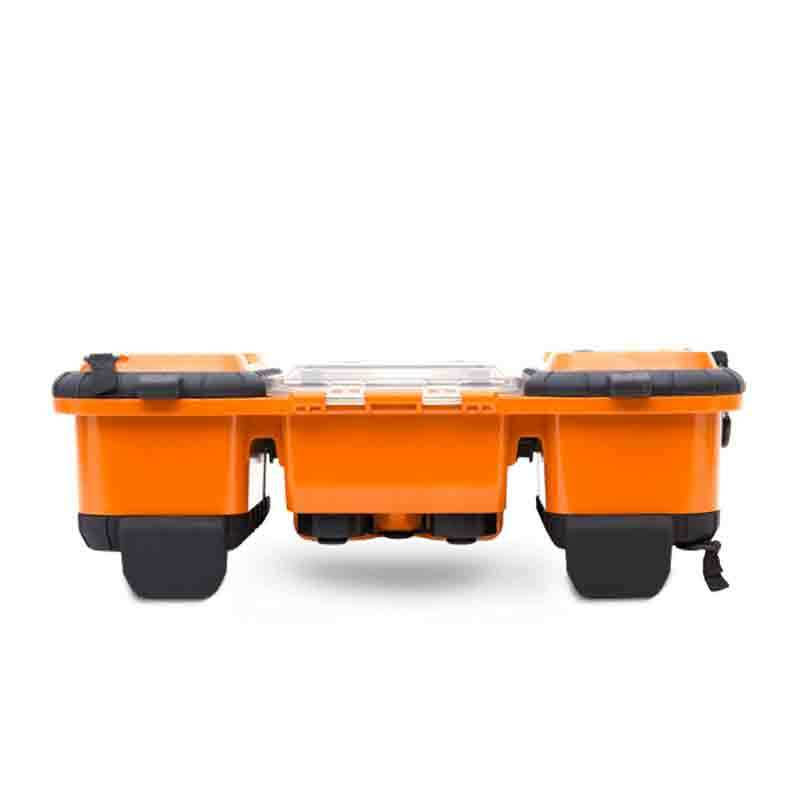 Designed and engineered to withstand water, weather, and impact, EcoTerra is a rugged stereo that you can feel safe bringing to even the harshest, wettest environments. The internal compartment can safely store and protect your MP3 player and other valuables (cash, cards, keys, wallet, etc.) 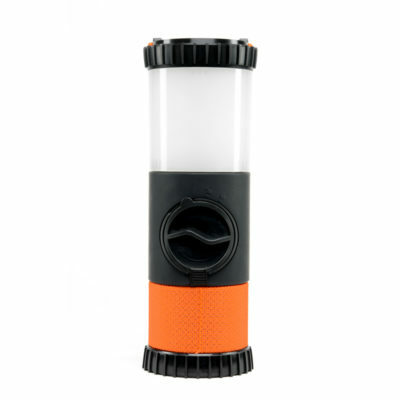 in an air tight, waterproof compartment, making it perfect for boat trips, camping outings, or sunny days at the beach. In addition, EcoTerra has an integrated carabiner connection, so you can hook it to almost anything including your tent, backpack, kayak, or paddle board. At only 1 pound, it won’t weight you down! EcoTerra isn’t just water resistant – it’s entirely waterproof. Not only is it entirely submersible in water, but it also floats, finding a way to point the speakers up from the water no matter how it falls in. It’s the perfect river or lake companion, protecting your valuables while blasting your tunes from the surface of the water. Using a standard 1/8″ input jack, EcoTerra connects to almost any device to play its music. It doesn’t matter if it’s a CD player, tape deck, iPhone, iPod, or Android powered phone – as long as it has a 1/8″ output jack (standard for most headphones) and fits in the waterproof compartment, EcoTerra will play it. In addition, EcoTerra will features a waterproof output jack, allowing you to connect waterproof headphones like ECOXBUDS for private listening.